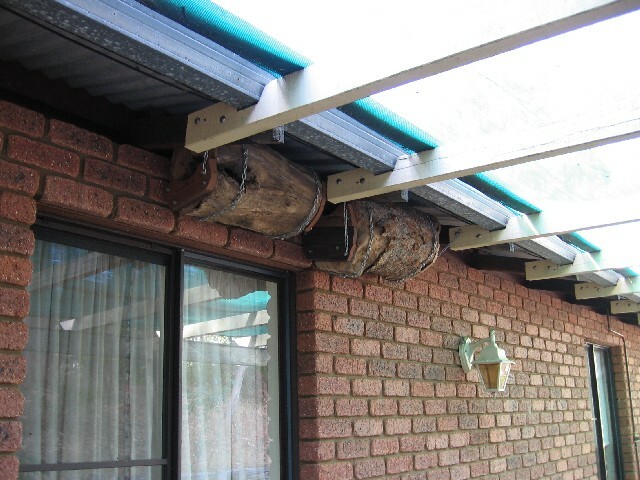 As part of the project to seal the perimeter of the house and evict the possums and rats from the roof space I needed to make sure that the possums had somewhere to move in to when I finally closed the last few gaps. 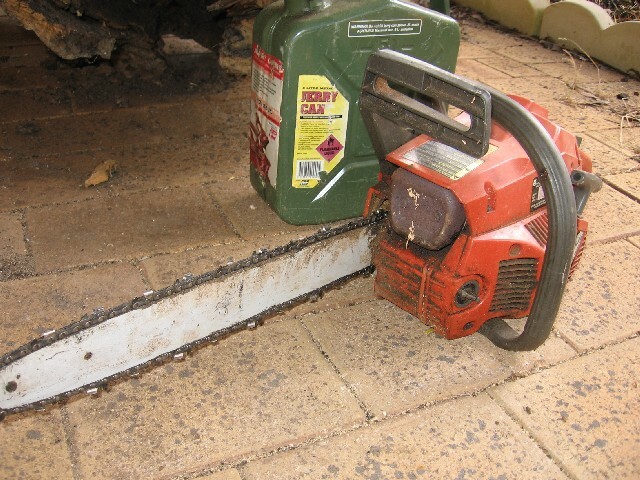 I cut some 1 inch square section steel to fit over each pair of ceiling joist at the eaves and tek screwed on to them some small brackets made from angle iron sections. 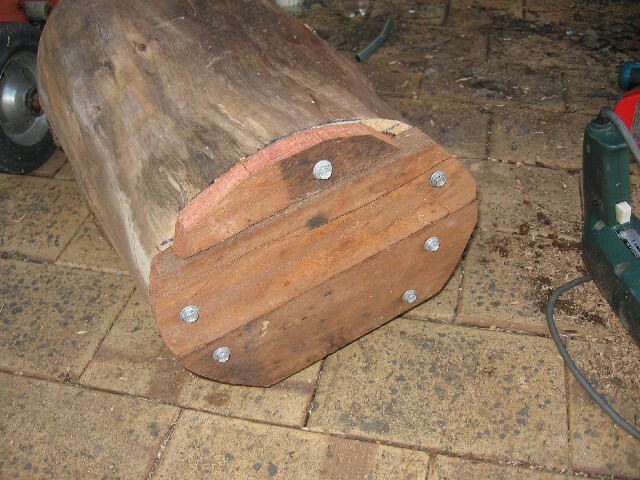 I then placed the steel bars on top of the timbers, very close to the brick wall and screwed the other side of each bracket in to the timber to stop it sliding down the slope. 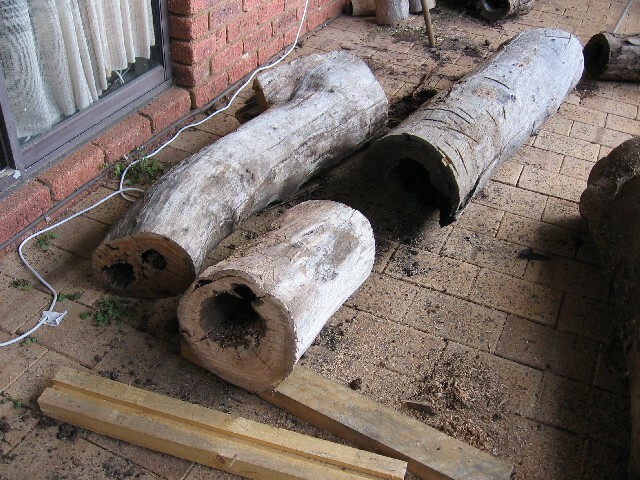 We had a variety of hollow logs I had rescued from off the rubbish heaps from our block in Wooroloo. 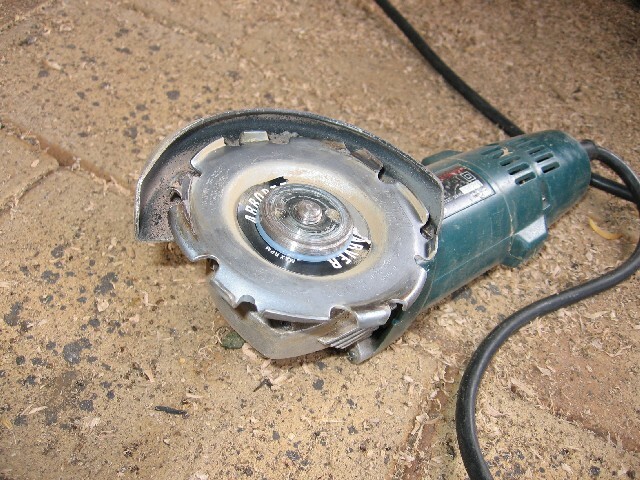 I used an ArbourTek carving disk on a small angle grinder to smooth out and enlarge the interiors of these and then closed up the ends using light planking. 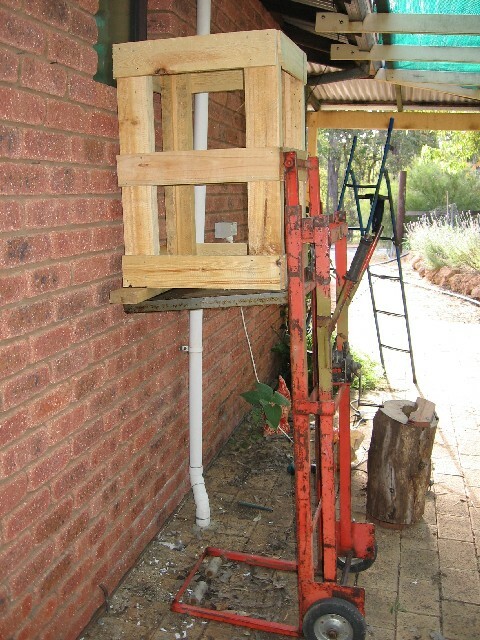 I then used a winch up trolley with custom made pine boxes as cradles to lift the hollows in to exact position under the eaves and chained them on to the steel bars. 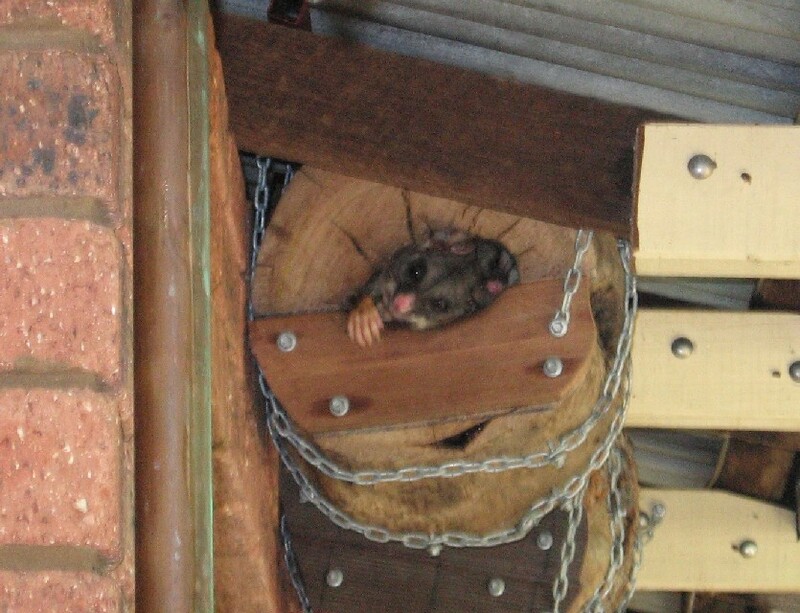 Within days, the possums had voluntarily moved out of the ceiling space in to the hollows. 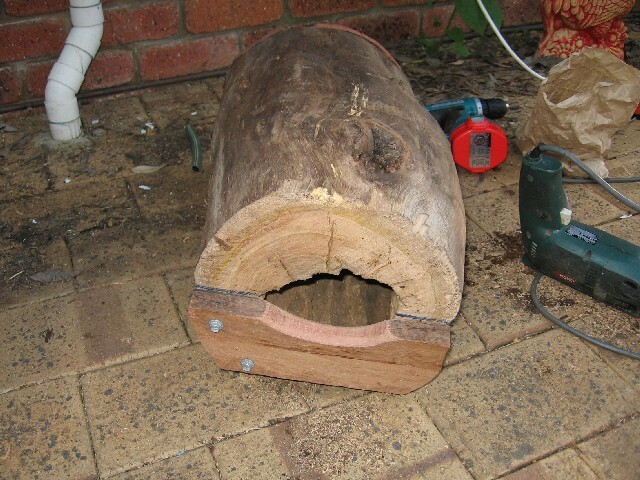 So far we have only installed four hollows - seems to be enough at the moment - the amount of fighting and screaming between the possums has decreased significantly. We will do some more on one of the other walls as soon as we can. 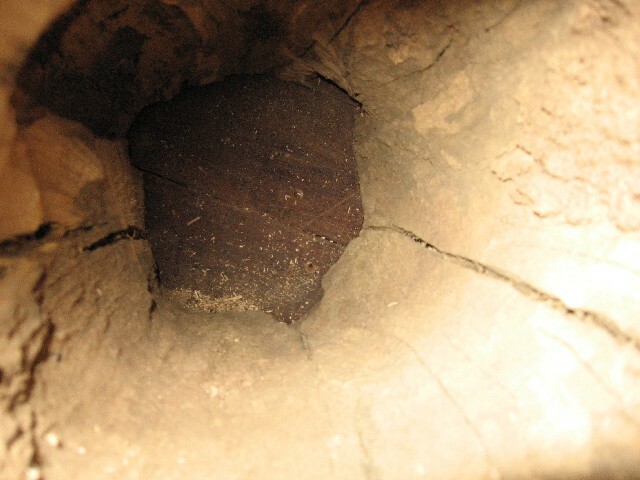 We also have some very large hollows that we would like to winch up in to some of our nearby trees.